Kings XI Punjab (KXIP) continued their stellar run in the ongoing edition of the IPL defeating Rajasthan Royals (RR) by 12 runs at the IS Bindra stadium in Mohali on Tuesday. It was Punjab’s fifth win in the tournament after eight matches which took them to the fourth spot in the points table. KXIP skipper Ashwin led his troops from the front as he first scored 17 runs off just 4 balls and followed it with 2 wickets. Asked to bat first, KL Rahul and David Miller (40 off 27) shared a 85-run stand to lay the foundation for the home side. 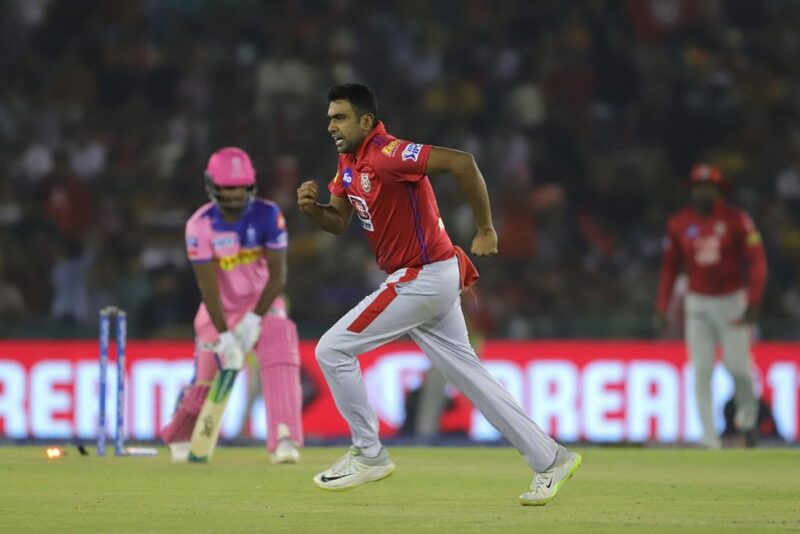 Ashwin then smashed a four and successive sixes in the last two balls to help the Kings XI put up a challenging total of 182 which eventually made the difference in the game. Ashwin was even more clinical with the ball as he did not give away a single boundary and gave away only 24 runs in his four overs. Ashwin also picked up the important wicket of Sanju Samson while also dismissing Royals’ top scorer Rahul Tripathi. Chasing 183, the Royals lost their in-form batsman Jos Buttler early. Rahul Tripathi (50) and Sanju Samson (27) then steadied the ship for the visitors before Ashwin dismissed both of them to derail Royals’ chase. In the end, the Royals just could not keep up with the mounting required run-rate and eventually finished on 170 for 7. Skipper Ravichandran Ashwin was a very delighted man after his team’s victory. 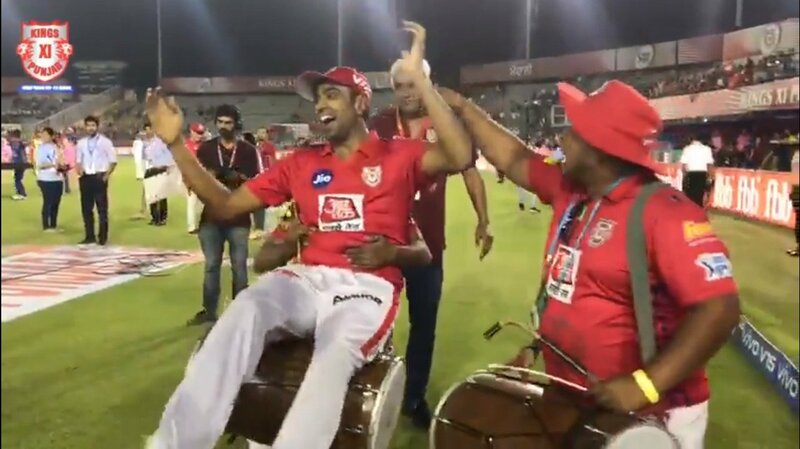 It has become a ritual of sorts for the Kings XI Punjab players to do the bhangra after every win on their home ground and Ashwin was no exception to it. The veteran off-spinner was hesitant to do it at first but eventually decided to shake his leg as he broke into ‘Bhangra’. Bollywood actor Sonu Sood was also seen dancing to the tunes of the dhol along with Ashwin, who was even picked up by one of the dholwallahs.